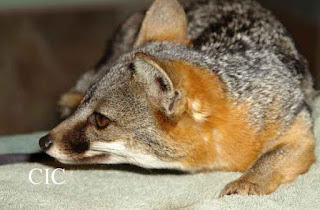 What is the biggest threat to island foxes on several islands? Being hit by a car! 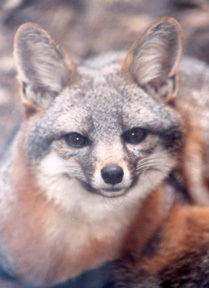 Island foxes are small, camouflaged for their environment, and vulnerable to speeding cars. 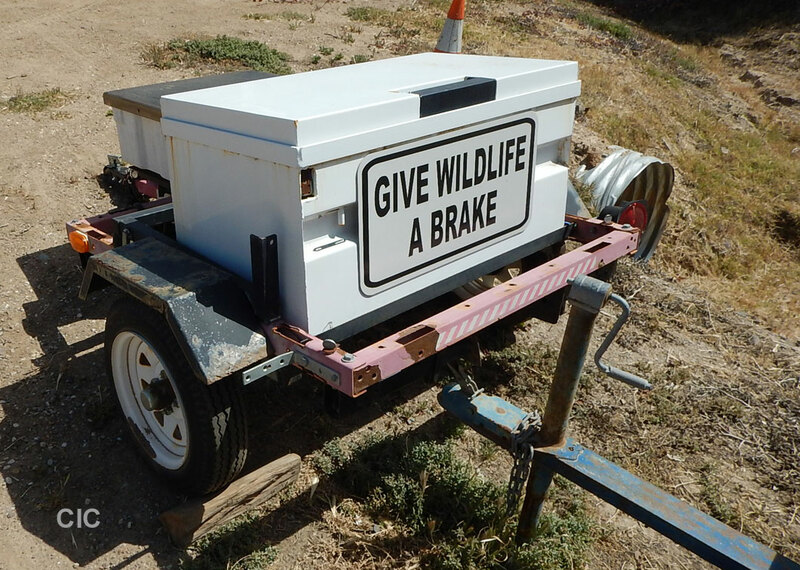 Thanks to Friends of the Island Fox a speed-detecting traffic sign on Catalina Island is back in operation slowing down drivers. I'm happy to report that with funding from FIF we have repaired our radar speed detector and deployed it on the landscape! says Lara Brenner, Wildlife Biologist for the Catalina Island Conservancy. In the next few days I will take some time to hide in nearby brush and monitor the speed machine's efficacy at convincing people to slow down. Thank you so much for your continued support of our fox program. We hope to continue working with you to decrease the impact of vehicles on the Catalina island fox population. The traffic sign is again alerting drivers to SLOW DOWN and watch for island foxes. Some road areas are more deadly to island foxes than others. 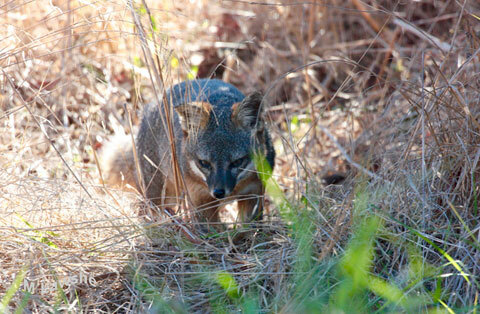 Reducing island fox access to human food and trash, deters these tiny animals from crossing busy roads. 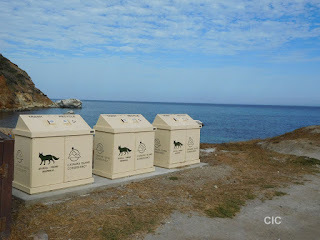 Friends of the Island Fox is also committed to replacing old and dangerous trash cans on Catalina with "Fox-Saver" bins and putting fox-proof food lockers in campgrounds. 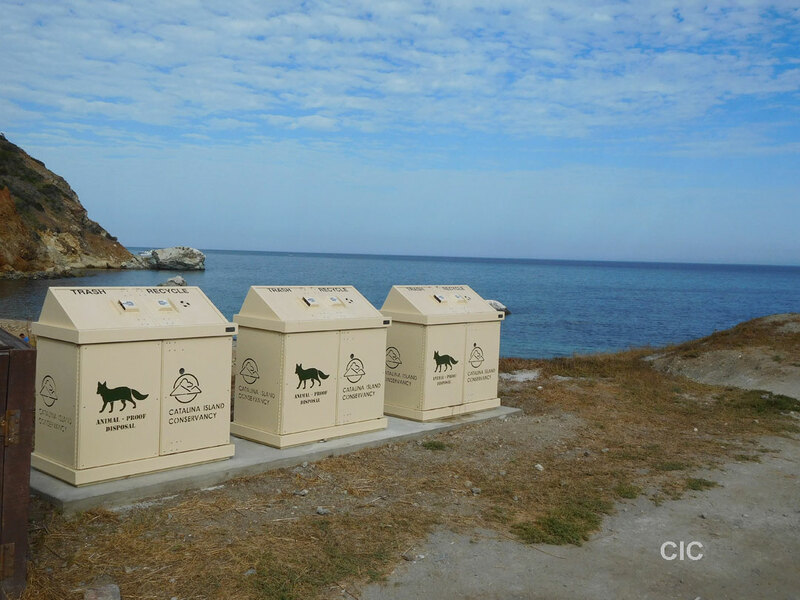 When island foxes are denied access to human food and trash they are healthier and safer. 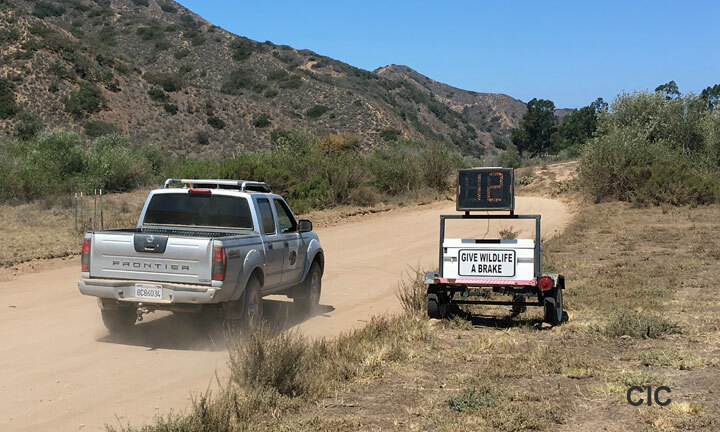 Thank you to ALL of our DONORS who helped fund this important fox-safety effort on Catalina. Working with the Catalina Island Conservancy, we can make sure Catalina Island foxes continue to have a solid recovery and healthy future. 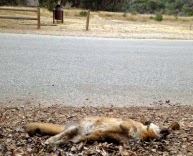 Summer heat is impacting the Channel Islands and island foxes just as much as the mainland. High temperatures and low rainfall increase the challenge for island foxes to find food. Just like with people, high temperatures put greater stress on the young and the old. Island fox numbers are good across the islands (See the Island Fox Update 2018), but fox biologists warn that 2018 may be a harder year for island foxes. Thank you to Michael Lawshe for this great photo of an island fox searching in the dry grass.